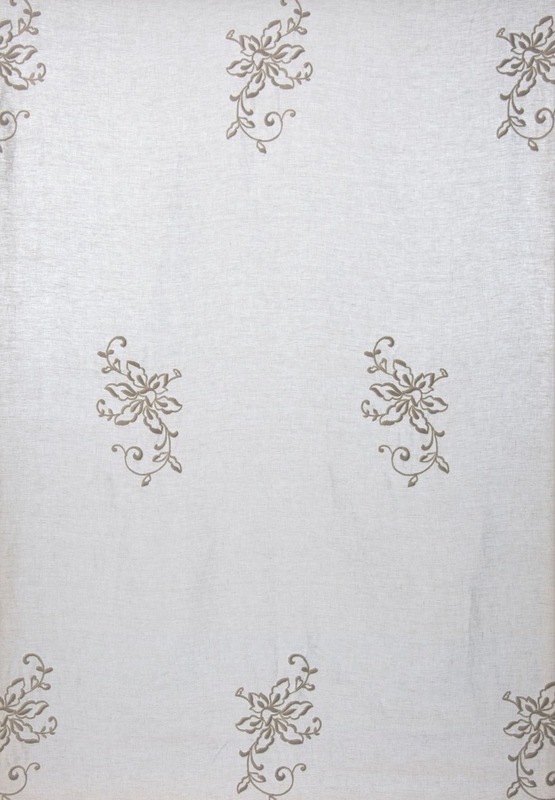 Curtain in 100% linen featuring floral motifs in line with the elegance and style of the Dune Marveille collection. Washing:Dry cleaning for delicate items or washing in water with program for delicate items or equivalent (wool and silk). The duration of the wash must be less than 50 minutes. Use detergent for delicate items. Do not use aggressive detergents or containing bleaching substances. We recommend the use of fabric softeners and drying in the tumble dryer.